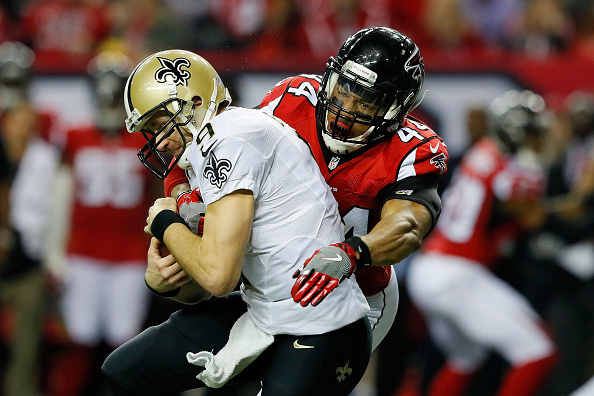 Falcons pass-rusher Vic Beasley Jr. said he’s not concerned about the left-shoulder injury that briefly knocked him out of Sunday’s 38-32 win over the Saints, Vaughn McClure of ESPN.com reports. Beasley was injured at the 11:22 mark of the first quarter. He received treatment on the sideline before exiting to the locker room. Beasley said he’ll undergo an MRI on Monday but didn’t express too much concern. He played through a torn labrum in his right shoulder his entire rookie season a year ago.